The Riverina Regional Library (RRL) is the largest regional library service in NSW. It provides library services to approximately 137,845 constituents of 10 local government areas, those being the shires of Bland, Coolamon, Cootamundra-Gundagai, Federation, Greater Hume, Junee, Lockhart, Temora, Snowy Valleys and the City of Wagga Wagga. The service consists of 18 stationary library branches and a mobile library spread over an area of 47,830 sq km (which is around 70% of the total area of Tasmania and 6% of the total area of NSW). © 2019 - Riverina Regional Library. You may be required to enter your library member number, for example R123456 (this is the number on the back of your member card). Your password is your date of birth expressed as DDMMYYYY – for example 05091965 (5 September 1965) – no spaces, dashes or full stops – all numerals except for the R in the member number. Please note: access to the eLibrary, Information Online, the Catalogue and Member Services is unavailable between the hours of 1.50am and 4.00am. The library apologises for any inconvenience. 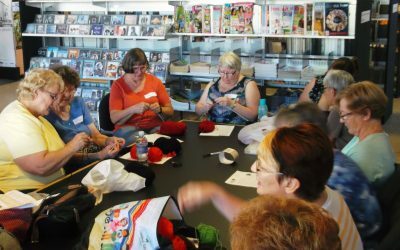 Membership to the Riverina Regional Library is free for residents of the local government areas of Bland, Coolamon, Cootamundra-Gundagai, Federation, Greater Hume, Junee, Lockhart, Snowy Valleys, Temora and Wagga Wagga. To join, visit your local branch and complete a membership form. Temporary online membership is available – membership must be validated at a branch library within 30 days of joining online. Proof of your current address – such as a drivers licence, rent receipt or rates notice, will be required when you join or verify your online membership at your local branch library. If you do not have any of these, a parent, relative or friend may act as your guarantor. People under the age of 18 require the signature of a guarantor before becoming a member. Reciprocal membership is available to members of other Public Libraries within NSW. Proof of membership to “home library” is required on joining – conditons apply. Members can reserve, renew and browse items online. Save Power Kits – The kits provide useful tools and information which will help you to understand and measure how you use power in your home. New stock arrives weekly and there is also FREE acess to the eLibrary and Information Online products. What's my username & password? Access to online resources requires a Username and PIN/Password. Your username is your member number which is found on the back of your member card. Your member number begins with a capital R and is followed by 6 numbers for example: R123456. Your PIN/Password is the date of birth you supplied to the library expressed as DDMMYYYY for example: 05091965 for someone born on 5 September 1965. The eLibrary and Information Online resources are accessible every day except between the hours of 1.50am and 4.00am. ancestry.com is only available via the Info Online page for use within the libraries. Please go to the eLibrary Help Page or FAQs for more assistance. If your local library is open, there is always someone to help with your project, to engage your child with a story or rhyme or to provide a place where we are all welcome! Of course there is always RRL’s Information Online for all your research and learning needs and the eLibrary for great online reads and more! Children, Youth and Adults are all well catered for with various programs including Storytime and Baby Bounce for the little ones through to Book Club, author talks and technical assistance for adults. Youth can come along to many of the libraries that offer gaming consoles for in-library or access free online eMusic, eFilms. Holiday programs are also very popular for all school ages so book early to avoid disappointment. Check out What’s On for details about programs and events happening across the region! In addition to all the print, audio and DVD collections, RRL offer a fantastic eLibrary collection that is available online – just have your member card number ready and your password (Date of Birth expressed as DDMMYYYY) to access FREE eBooks, eAudio, eMagazines, eMovies and eMusic! Check out the eLibrary here! Print – Books, fiction and non fiction, magazines, including, picture books for children, biographies, westerns, large print – search the catalogue. This page contains help notes for our eLibrary and Information Online products. If you have any further problems please contact your local library.